Despite the ever increasing power of smartphone, with high guzzling 1080p and hopelessly useless but diserable 2.5K displays, as well as quad core (and octa-core processors on the way), more powerful cameras and operating systems that are so woefully inefficient, battery technology has yet to catch up. Manufacturers insistence that we need ultra thin smartphones at the expense of battery capacity is also a culprit. I have been a huge fan of my Nexus 5 device, but its sheer power is only matched by its inadequate battery. The Nexus 5's pitiful 8Whr battery lags far behind even the groundbreaking Motorola RAZR MAXX, which was released two years ago with a still unsurpassed 12.5Whr battery (only bigger unwieldy phablets like the Lumia 1520 has a larger battery capacity, and only just). 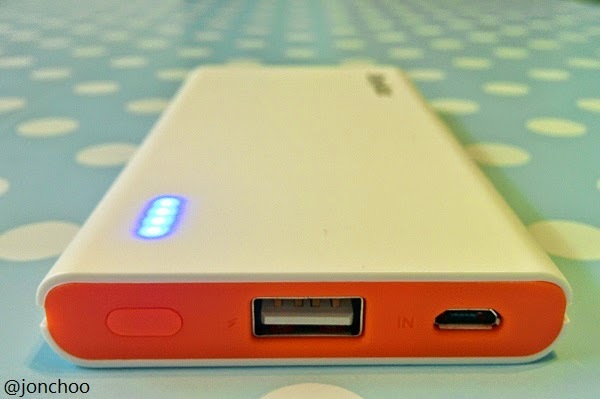 Until there is a ground breaking advancement in battery technology, or power saving, is it no surprise that portable battery, or powerbanks, are increasingly the only solution to our increasingly reliant lives around phones. The EasyAcc PB5000C is one I have been using for some time. An unknown brand, the powerbank attracted me as a good upgrade over my old Trent battery pack because it is physically smaller (and therefore more portable) and yet carries enough juice to charge my phone twice, plus a bit more. The 18.5Whr (5000mAh) battery is also good to charge a typical iPhone almost three times, making it an ideal solution for long flights or weekends away from the power socket. You could even use it to top up an iPad, though it only carries about enough to charge it halfway. With a weight of only 133g/4.69 ounces, the EasyAcc is light and small enough to slip inside my jeans or jacket pocket. It charges over microUSB, a huge plus over those that charges over various DC power connectors. It takes just 5-6 hour to fully charge from empty. The output is rated at 1.5amps, meaning the EasyAcc is capable of charging devices just as fast, if not quicker, as most bundled wall chargers. The battery is available in different colour (another reason I went for this brand). About the only negative I can find about the product is the four blue LED lights. The LEDs indicates how much power is remaining, but they could have chosen a colour that isn't as blinding as bright blue. 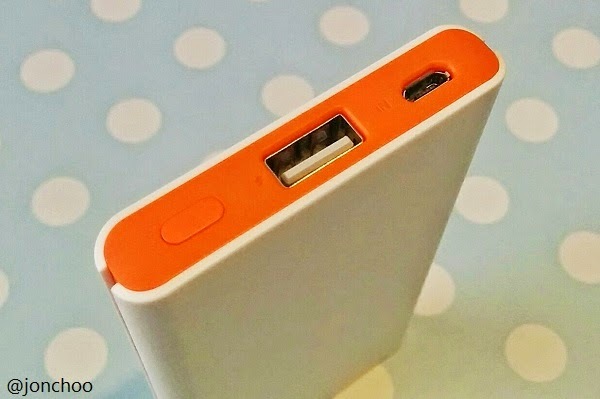 The EasyAcc is an incredibly stylish and solid powerbank that only does one thing - making sure you have enough juice to stay connected.